A Blue Sky smash at the Aegon international tennis Eastbourne!! Get your sunhats and sun cream at the ready. Hooray!! the men are back at Eastbourne Aegon international tennis again this year, that’s not to say that the ladies haven’t been fantastic, they have, but we love to see both men and women at Eastbourne!! 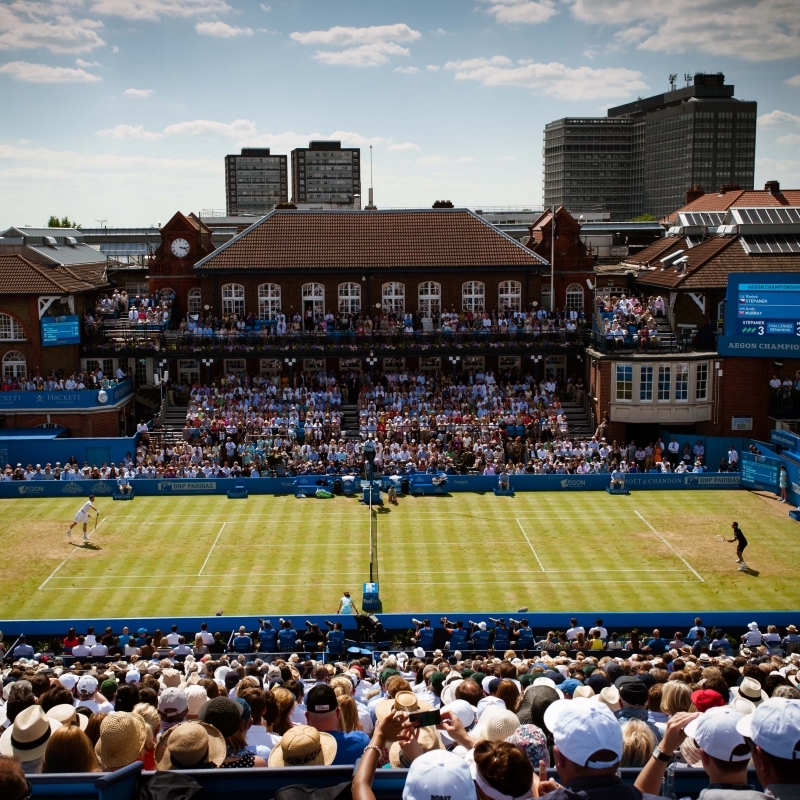 Lets hope for some fantastic tennis and sunshine all the way! The Guesthouse East apartments are nearly full to capacity for the tennis this year and only have a couple of nights available for the beginning of the week. Enjoy a cream tea or Pimm’s especially made for glorious days on the English Riviera as Eastbourne is known, if its sunny anywhere on the south coast of England, Eastbourne is! !